Synopsis: It is the fall of 1945. Private Alvin Rhodes is returning home to his mother Catherine in Merced, CA. He has an injury that he doesn’t want to discuss and a new wife, a Japanese nurse named Yumi. Yumi is greeted with suspicion and fear, even outright hatred. The bombs were dropped only two months prior and Japanese Americans are still unjustly interned at Manzinar, not far away. She is shy and withdrawn, but with the help of Catherine’s old friend Richard, a Japanese/English dictionary and 1000 paper cranes, her story is slowly revealed. 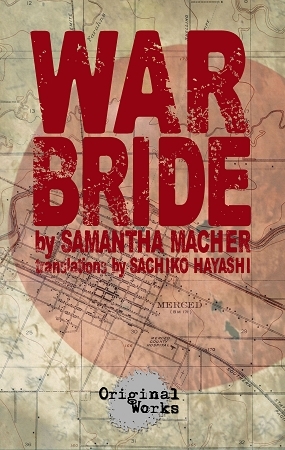 WAR BRIDE combines sharp, witty dialogue with Japanese Butoh influenced contemporary dance to create a completely new play that will tear at your heart while challenging your ideas of right and wrong.